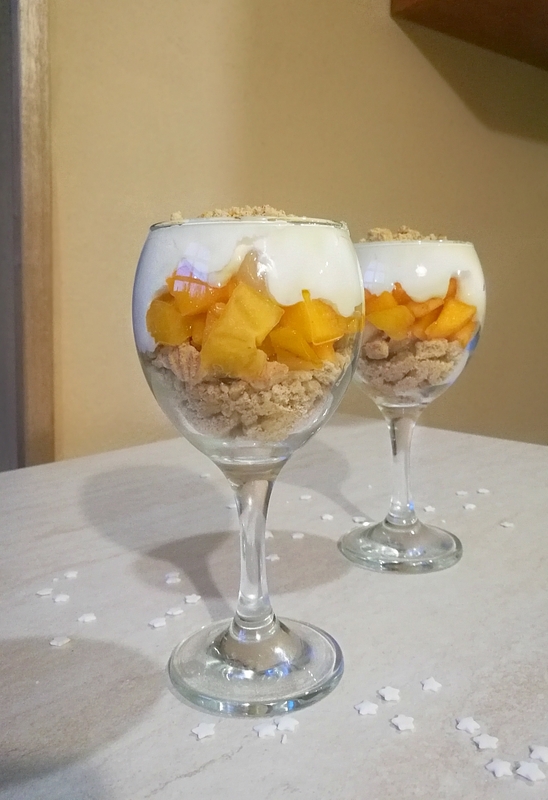 These delicious little cheesecake dessert glasses are so great for a New Year’s Eve party! The New Year’s Eve Cheesecake Shooters are a great combination of creamy, crunchy, fruity ingredients. These Cheesecake Shooters are a fancy way to serve a simple and delicious dessert. 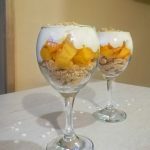 You can choose different fruits for this cream, also you can spice up the crunchy part too! I’d recommend some red fruits to the persimmon, and for the cookie crumbs, I’d recommend some crushed pistachio!